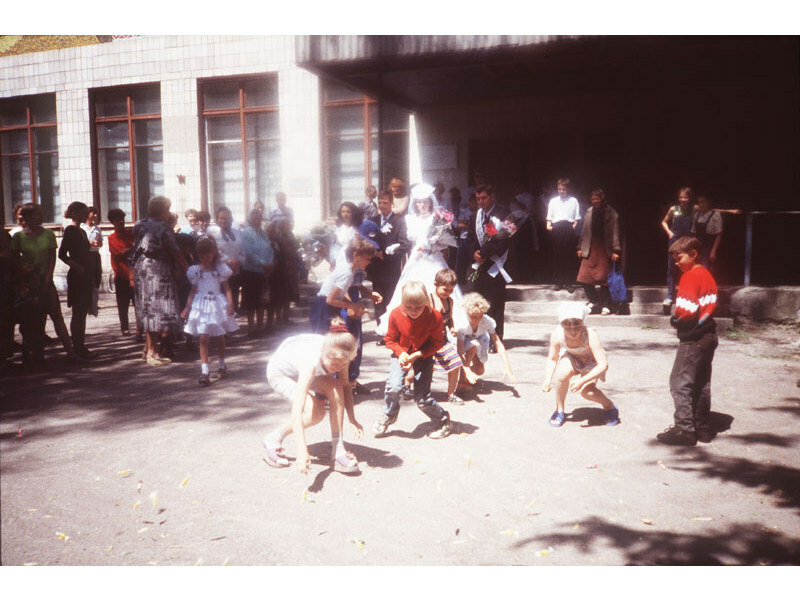 When Ukraine was part of the Soviet Union there were not many churches. 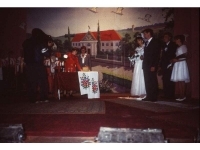 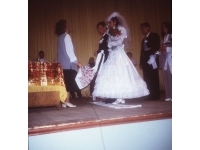 People had a civil ceremony in the village hall. 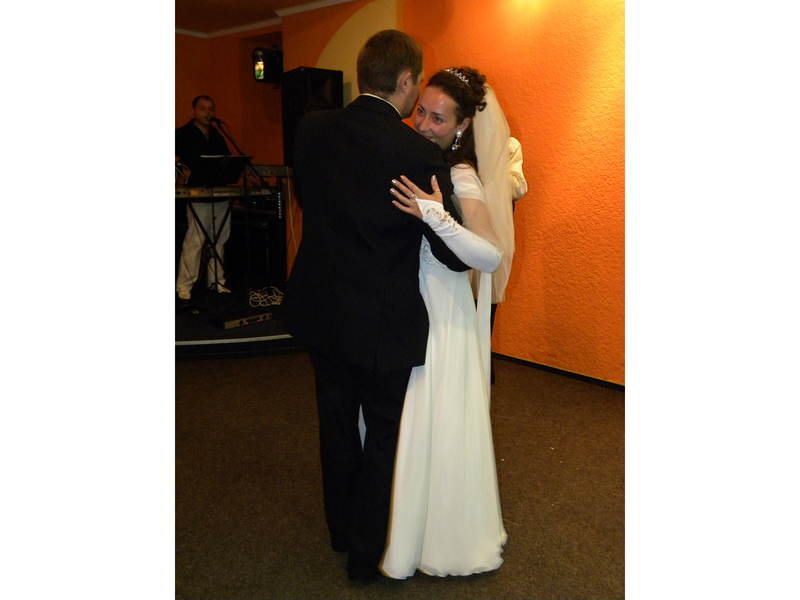 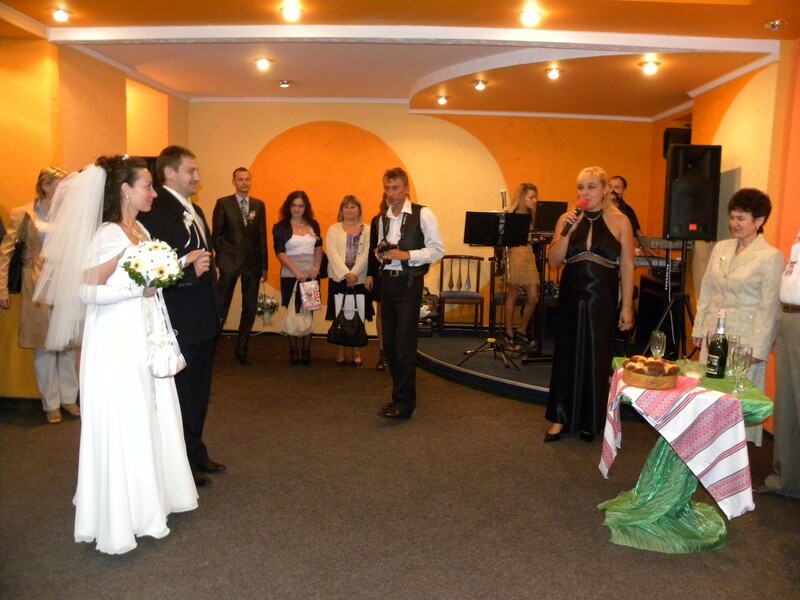 Now, Ukraine is independent and people have a civil ceremony and then a church wedding. Here is the civil ceremony. 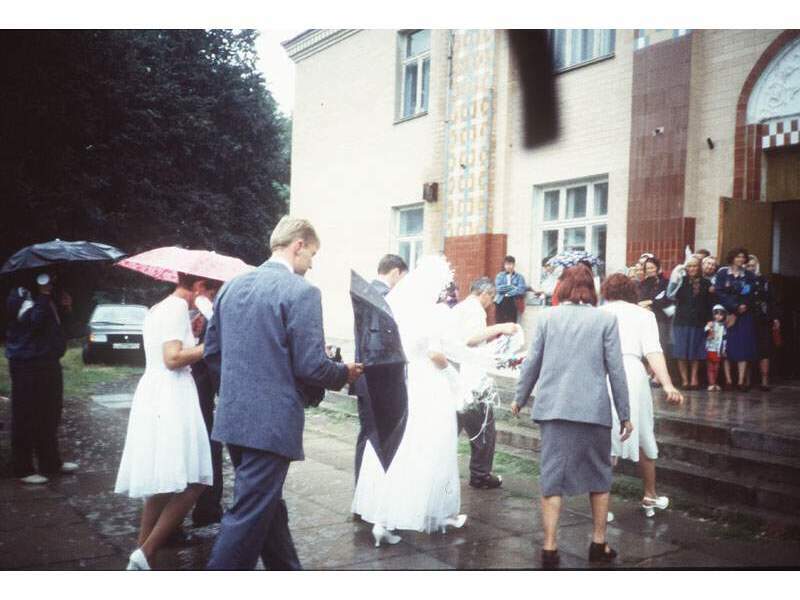 People often have a wedding in a church. 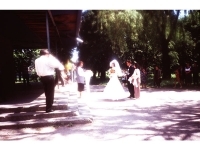 This is the church ceremony. In Ukraine, a special bread called “korovai” is made for the wedding. 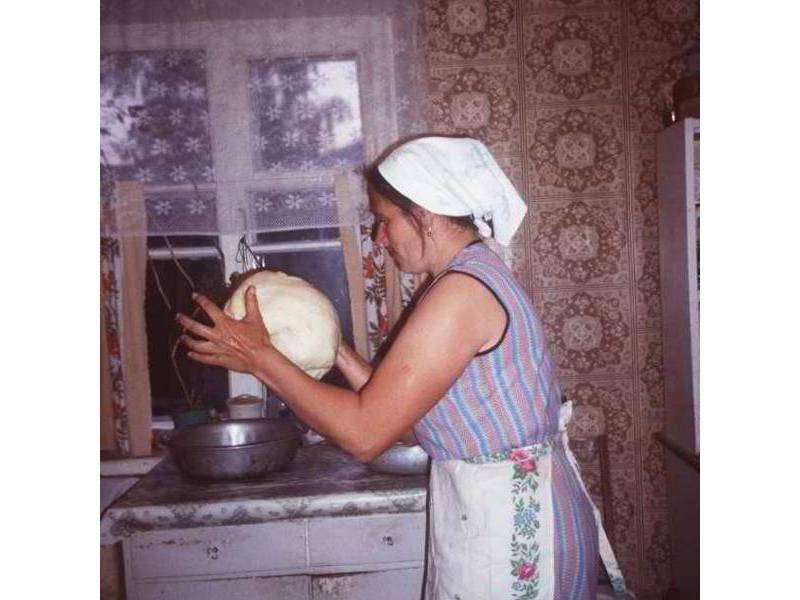 It has to be made very carefully. 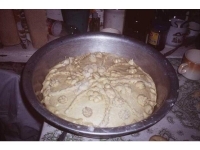 It is thought that, if it breaks as it is baked the marriage will not be happy. The bread sits on the table in front of the bride and groom. 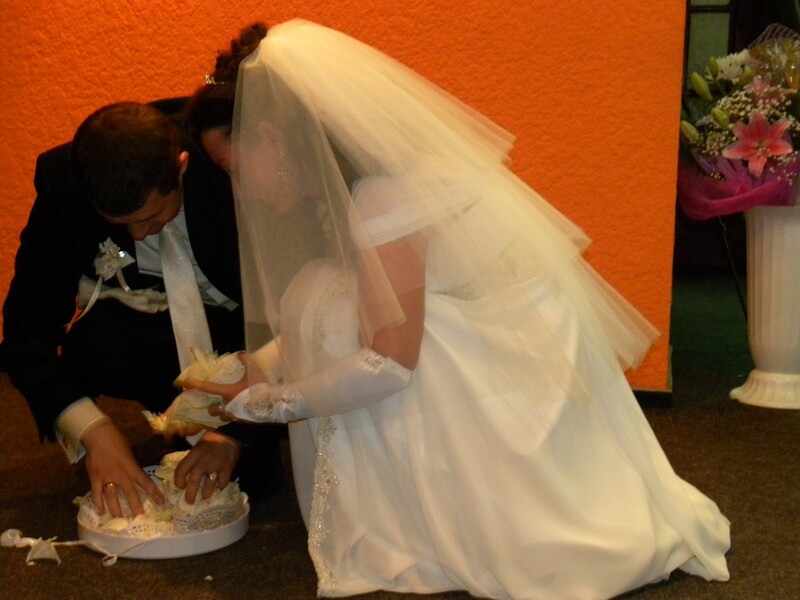 It is eaten after the wedding and all of it must be eaten. 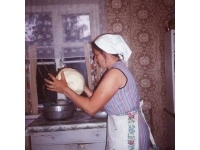 In the past, the korovai was decorated with birds and flowers made from dough. Now, in some places, the korovai is decorated with icing. 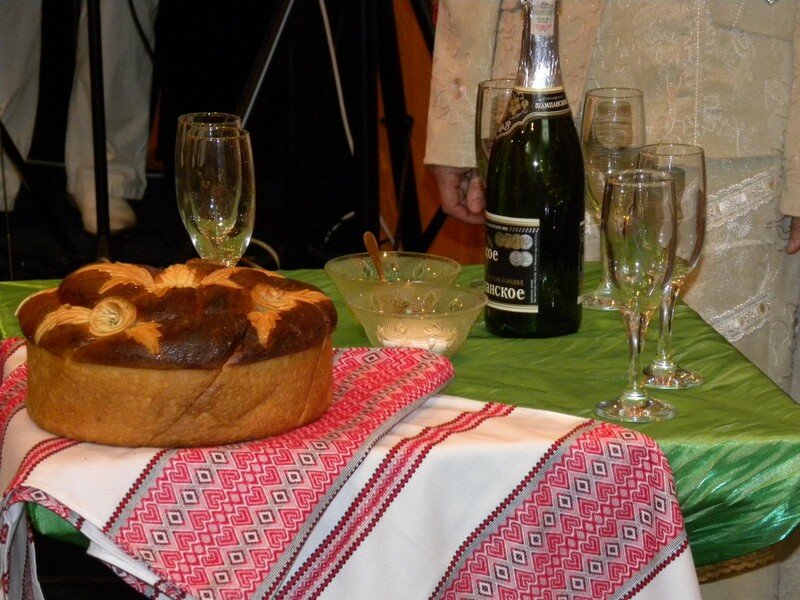 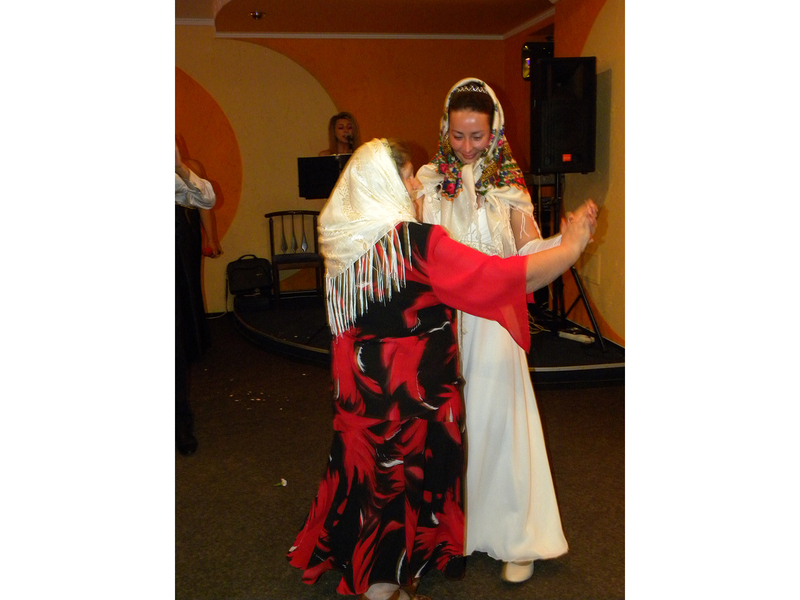 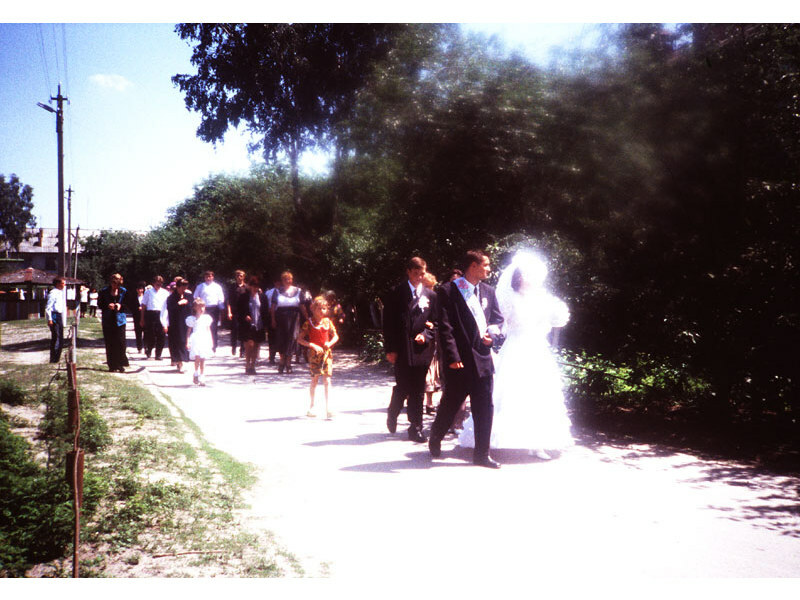 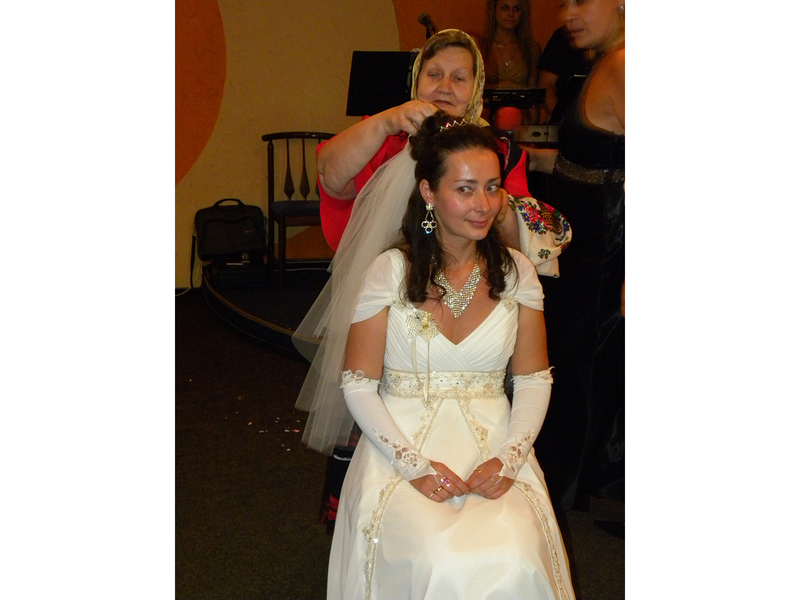 In Canada people of Ukrainian heritage have a korovai for their wedding. 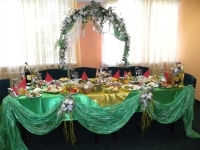 It is decorated with birds and flowers and green plants. 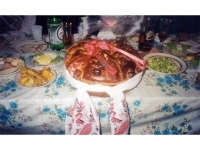 The korovai is usually not eaten. 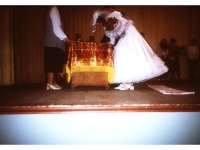 It is covered with clear paint and saved. In the following pictures, it can be seen how people prepare and celebrate the wedding. 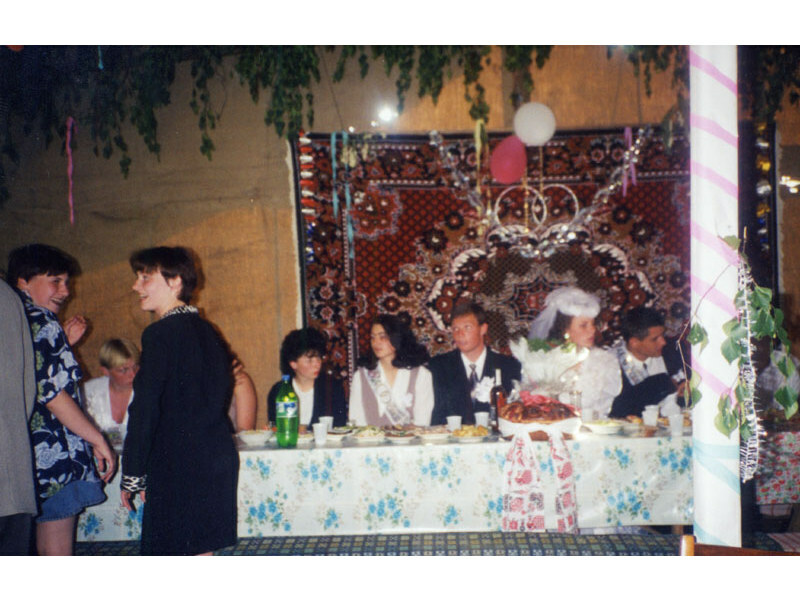 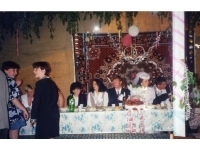 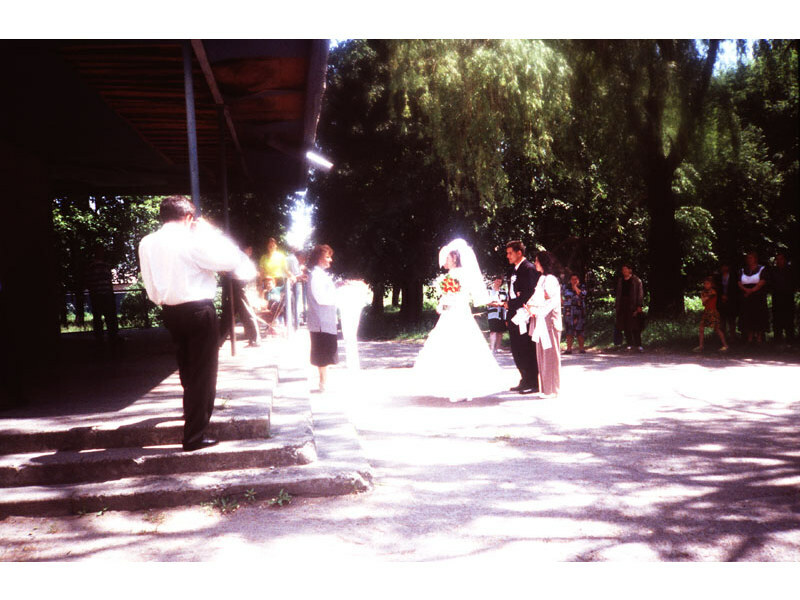 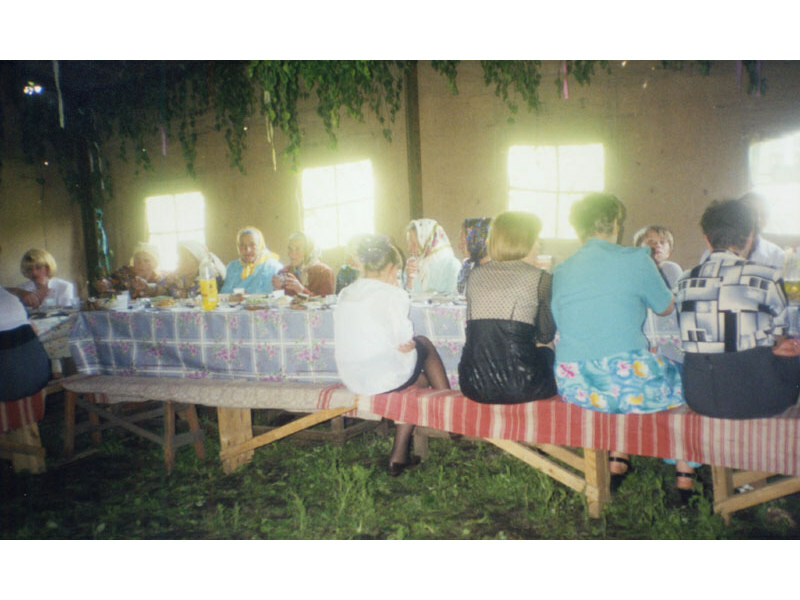 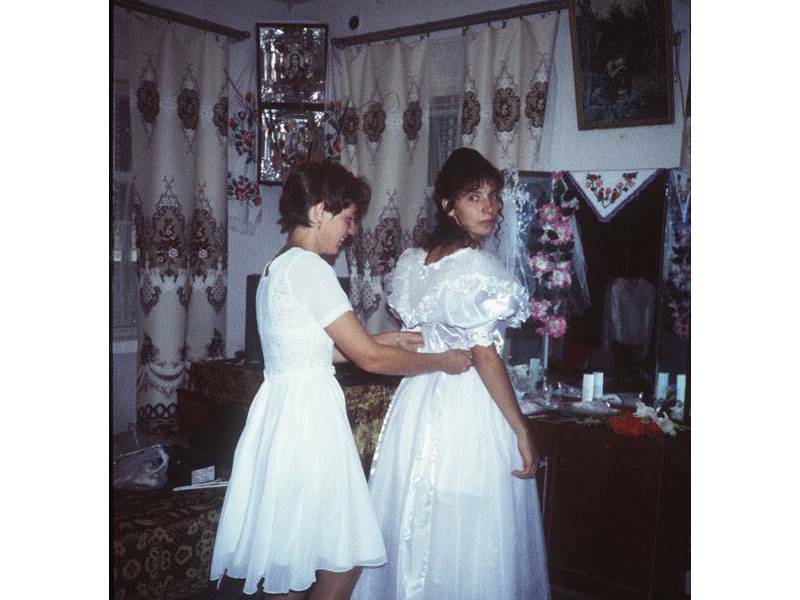 The photos were taken in Krut’ky in 1998 and Mryn in 2000 correspondingly. 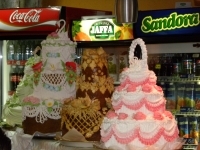 These photos were taken in Rivne 2011. As you can see, some things have slightly changed, including fashion; however, some traditions are still kept. 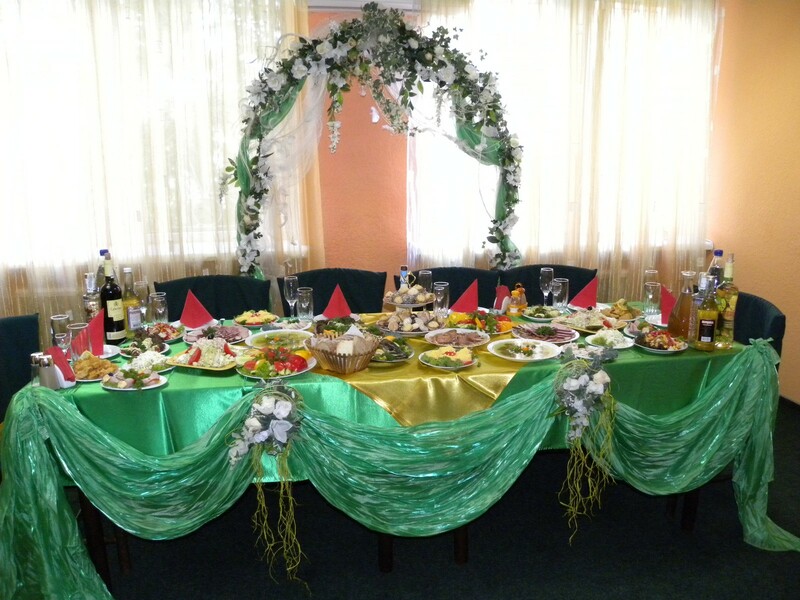 Do students in the class know of special foods eaten at weddings? Is it made at home or bought in a store?